So its a sunny Friday and its absolutely hectic in the office. 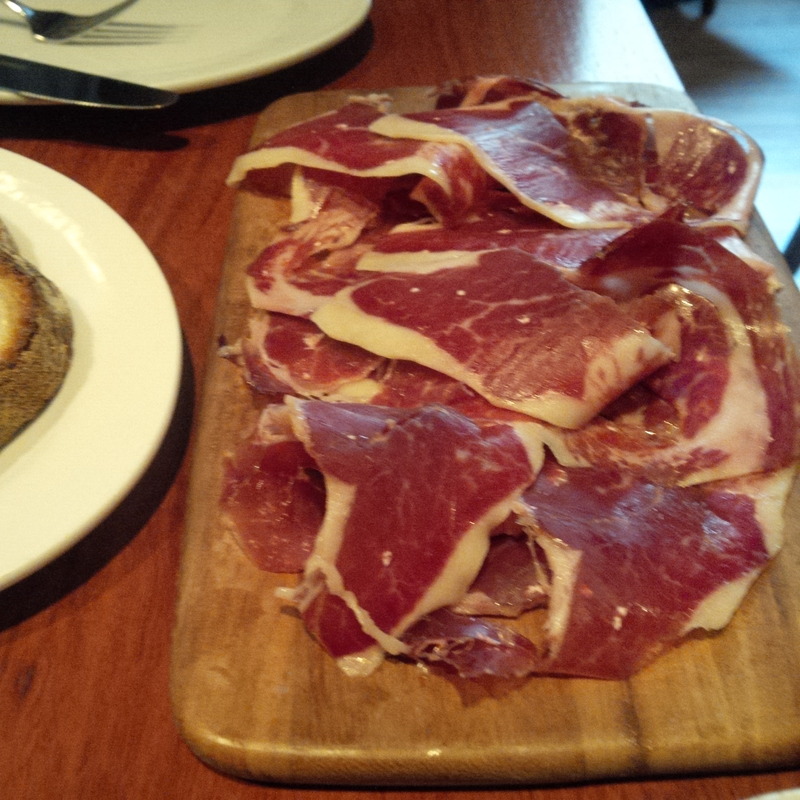 I scramble to get all my work done as I am meeting someone at a lovely Spanish tapas joint in the city. 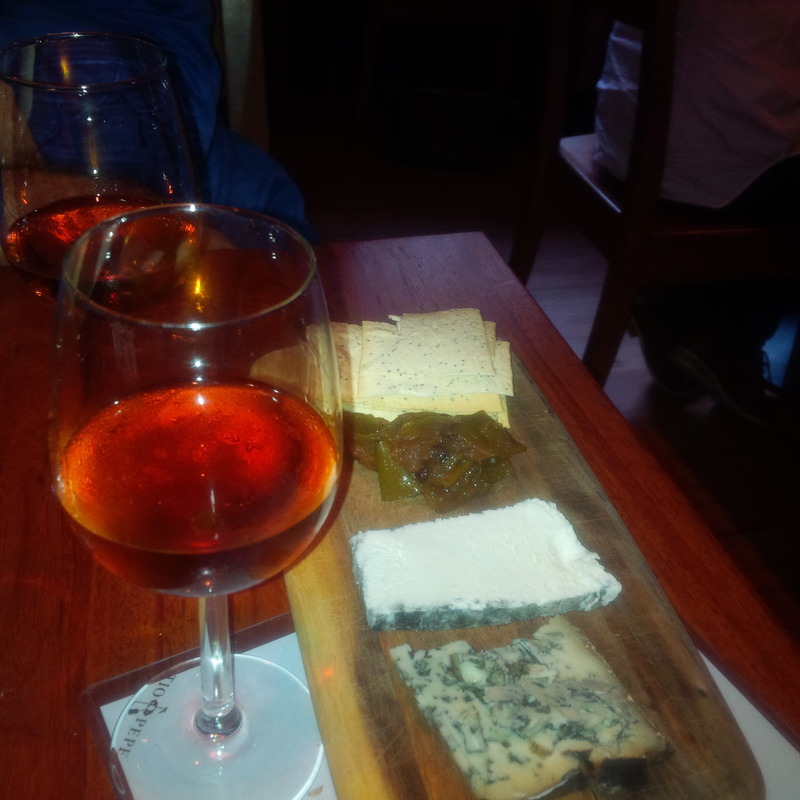 Tapavino is an amazing Spanish tapas place with beautiful selection of wines and some of the most amazing tapas. It’s one of my favourites. I get there nice and early to snare a table for us. A lovely waitress brings over the menus. 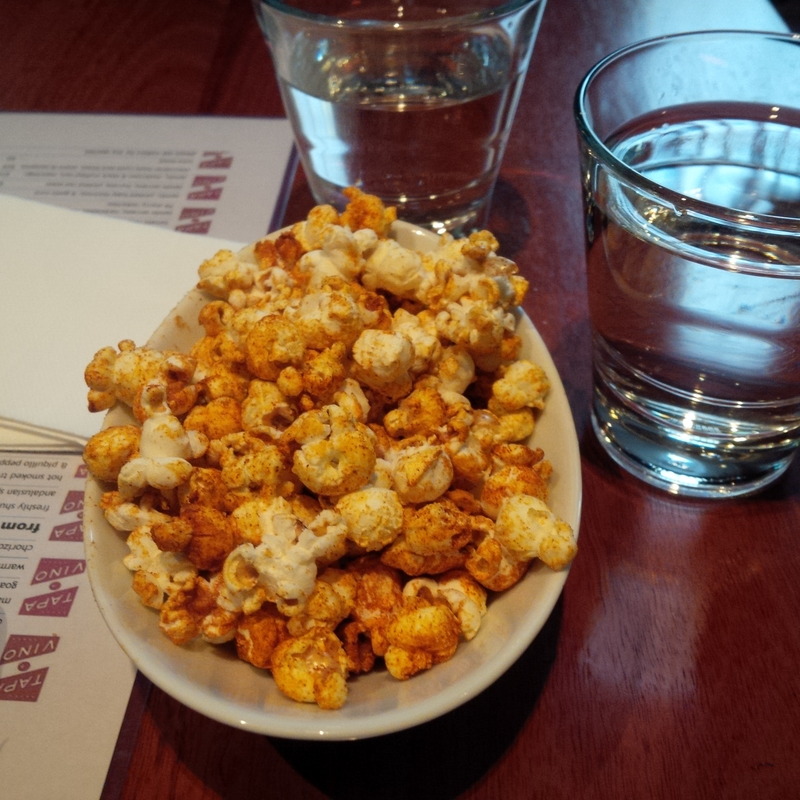 I order a paprika popcorn to nibble while I wait. 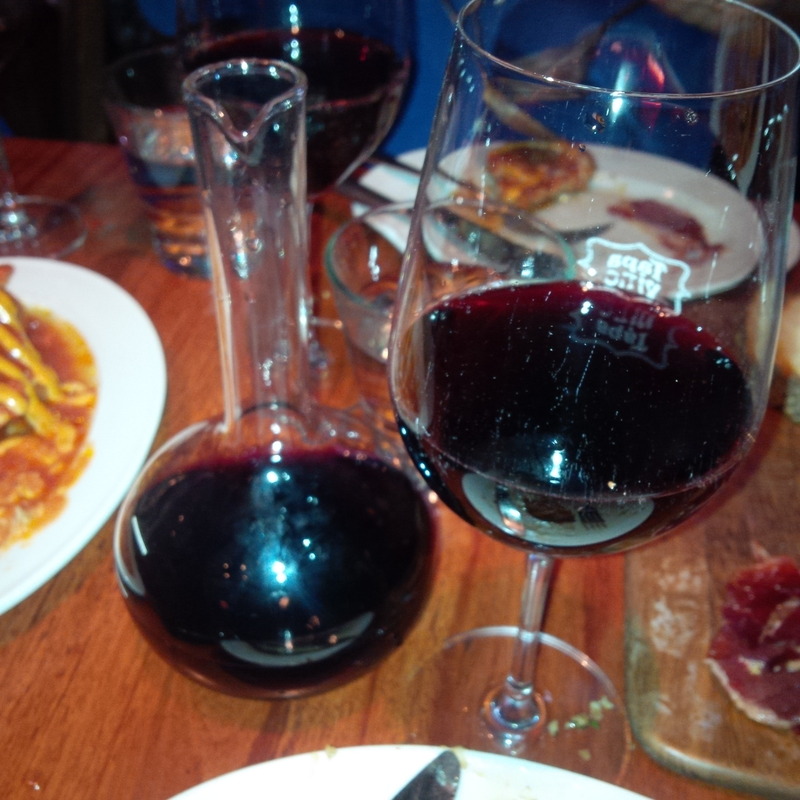 We decide to get a carafe of some really amazing Spanish wine. The ‎Estay Prieto Picudo – Castilla Y Leon. Now this wine is a treat, made from the oldest Prieto Picudo vines in the world. It has hints of liquorice and is flesh with that rich sensation leading into long finish. We savour every drop! It is simply amazing. Then we order some tapas. 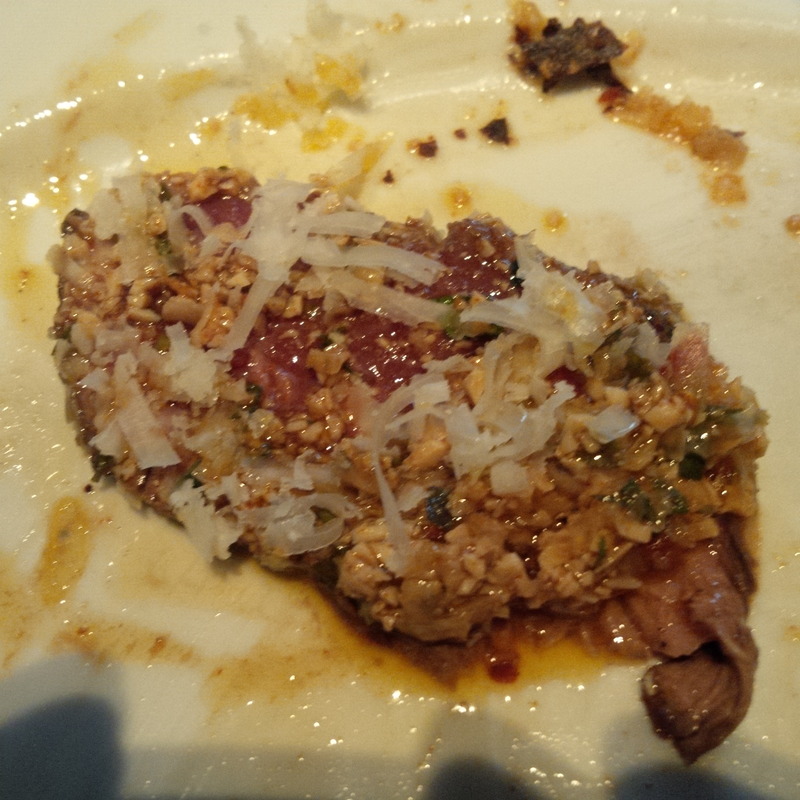 The first dish is the Pata Negra. This is the BEST prosciutto you will ever taste. It is made from black Iberian pigs. They are free-range pigs that roam oak forests along the border between Spain and Portugal, and eat only acorns during this last session. The level of exercise and their diet impact the flavor of the meat. The meat is cured for 36 months and is lean meat and lightly marbled with fat to produce a rich nutty flavour. It is simply divine. I take a slice and place it in my mouth, letting the oils and flavours seep through every taste bud, then gently chew on the tender meat to further extract the flavours. It’s an amazing experience. Then the beef carpaccio (invented at Harry’s Bar in Venice) is brought out. We chat about how carpaccio is meant to be thinly sliced. 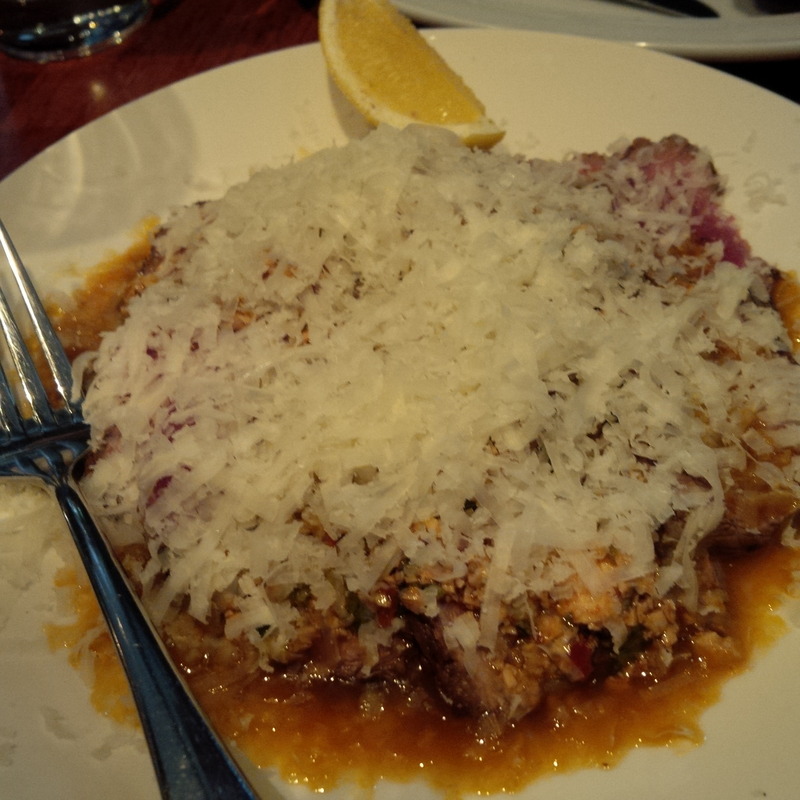 This dish however, has fairly thick slices of eye fillet beef, amazing tangy Spanish sauce (with some diced mushrooms) covered with beautiful shaved Manchego cheese (Sheep’s milk cheese). It’s rich, the creaminess of the cheese paired with the beautiful Spanish mushroom sauce offers the perfect mix of flavours. The eye fillet is amazing, tender, rich and oily with the full flavour of the beef shining through the cheese, mushrooms and sauce. It’s amazing. The wine slows to a trickle and we decide to get another Carafe. 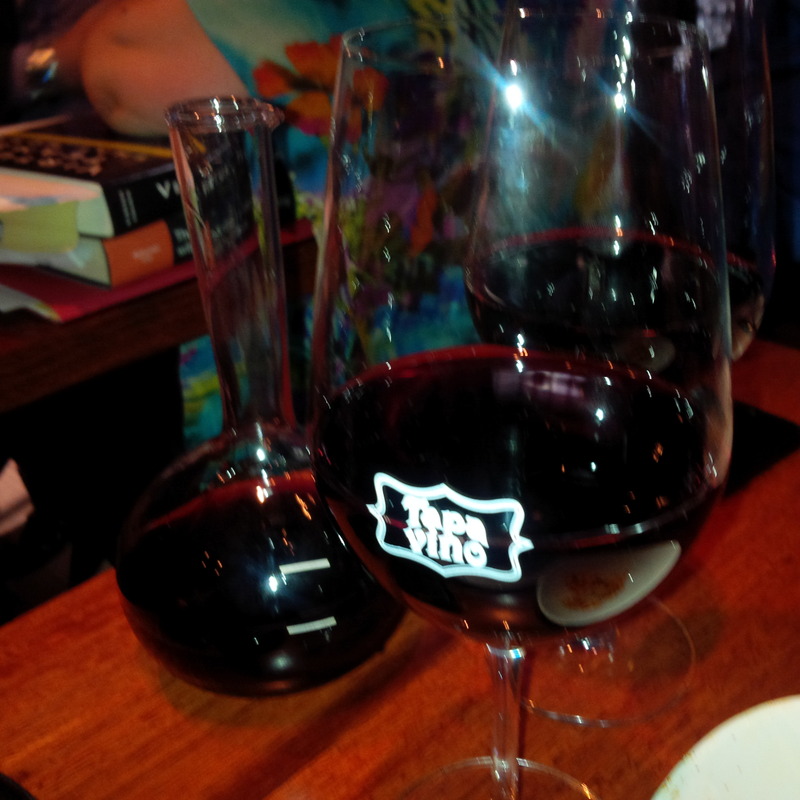 We settle on the Mazaneque Cabernet /Temperonillo – Vino de pago Spain. Red meaty warm wine which is full and pleasant with ripe tannins and persistent long finish. It’s full bodied but just flows on the tongue – this place can’t put a foot wrong. Then we have the braised chicken with a light paprika mayo and tomato salsa. Tender quality braised chicken (which just melts in your mouth) with the perfect mix of flavours. 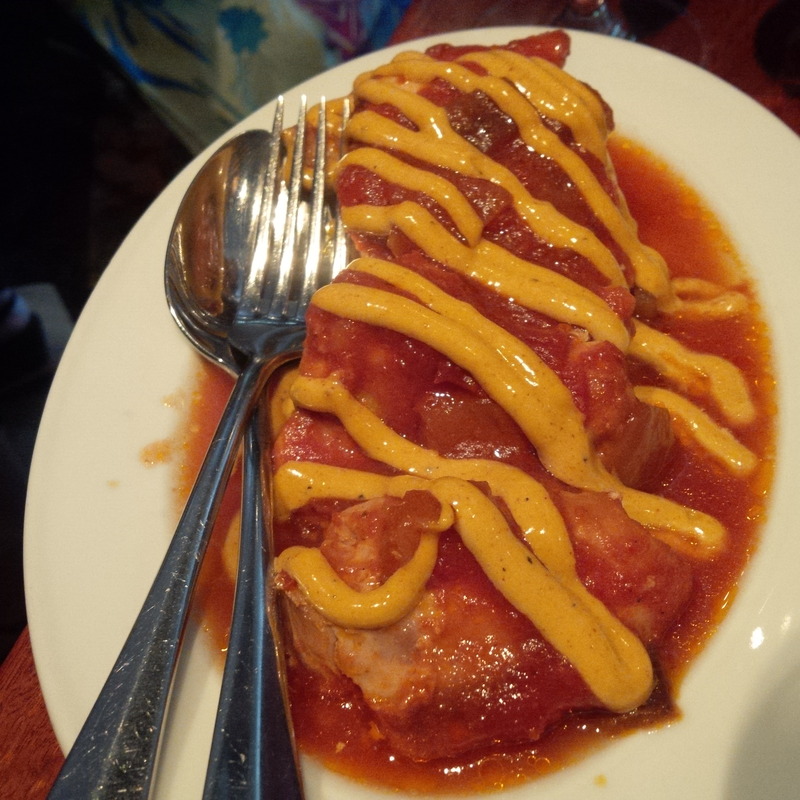 The sauce doesn’t overpower the chicken – the chicken does its thing, it’s the star of the dish. The sauce is simply amazing, it goes along side sing its little tune. To finish we can’t decide on dessert or cocktails, so we go with a cheese plate paired with Romate Amontillado NPU (Jerez Spain). This is amazing, its a close to perfect Amontillado with a delicate dryness with lingering flowers. It has a nutty waft to it, the scent is amazing. We spend the next few minutes just savouring the scent of the Amontillado. Then the cheese plate is brought out. There is a Valdeon (a cow and goat blue‎ cheese) and ash mould goat milk cheese. The dry nutty flavour of the Amontillado pairs oh so well with the sharp saltiness of blue cheese and the creamy goats milk cheese. It is heaven. I just can’t explain it you! It’s a step process, swirl the Amontillado enjoy the nutty aromas, then take Lavosh, place some the amazing poached apple on it (served with the cheese and provides a lovely balance to the sharpness of the blue cheese) then spread some amazing cheese on it and taste, then sip some of the Amontillado and do it again until the cheese runs out. It’s amazing. I seriously love it. As the night draws to a close, we decide to have that cocktail anyway, so we make a bit of trek down to Bambini Wine Trust – to sip on some classy cocktails. 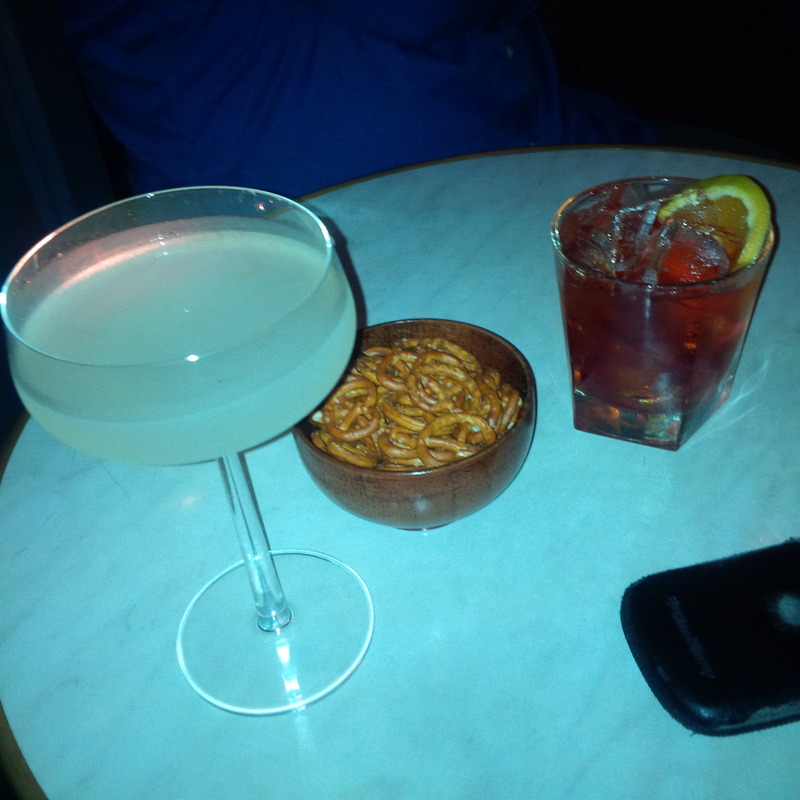 I have the Lychee Martini – which is smooth, sweet and lovely! 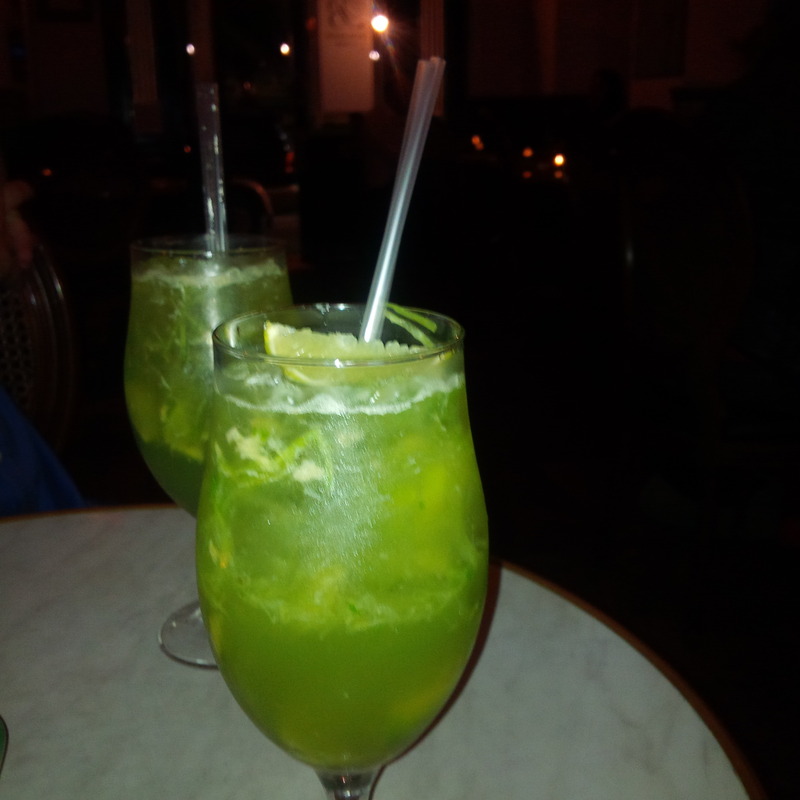 Then we progress onto a pair of Malaysian Mules – a light fruit based cocktail, where the sweetness is offset with a bite of ginger and coriander. Beautiful. Thus ends an amazing night. Tapavino, you’re the best.